KRS15 Longmark tyres are excellent options that will keep you travelling to your destination at all times. Marshal is known for producing tyres of great value and reliability, and this has helped make them popular all around the world. 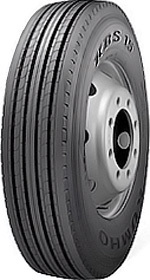 Impressive weight support and high resistance to wear are just two factors you can enjoy with these tyres while also having a smoother journey with better traction and stability. KRS15 Longmark tyres are a great choice.